We use at the time of oil change. Good fit and easy to hold drain plug. This review is about item#5843984. 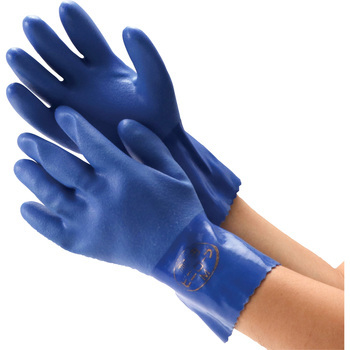 As we wear on nylon gloves, gloves, we purchase large size. It is very strong. As oil work shrinks gradually, it is thankful that there is 3L. Only Monotaro can buy it at this price. This review is about item#37094181. Since it is used everyday, it is washing after use, but it is strong and useful. This review is about item#9534034. I am using this for handling the industrial waste to which the oil adheres. It is easy to wear in your hands, easy to take off! In the workplace, there is no need for a package to use, so this one is cheap and has a number, so it is useful. It is big and just fit to the hands but it is a bit hard. If you can make things a little thinner than your fingertips, never say that. Since it cures when used, it was purchased as a replacement item. This review is about item#5843993. Material is also thick, hard to break with scratches, oil resistance is good, I am satisfied. This review is about item#05843984. It is strong and lasts long. Because the dominant hand will be useless, I would like to purchase one hand one by one.